The district of Wedau-South covers an area of about 60ha. 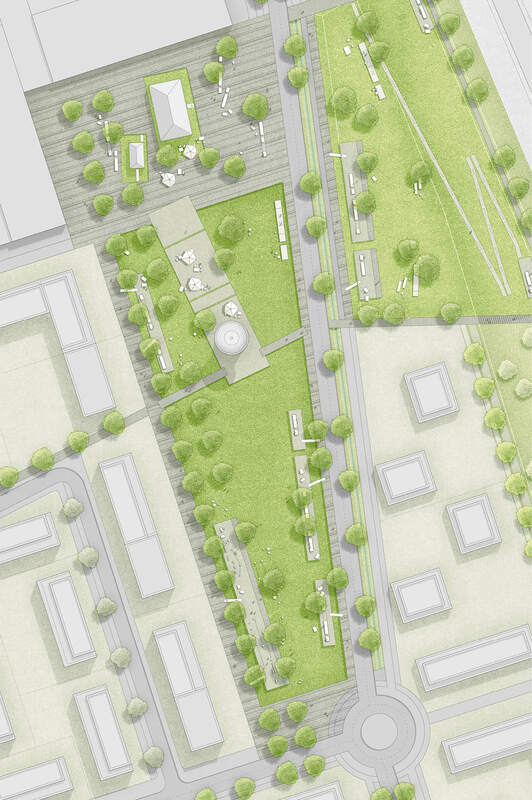 The urban design framework provides for a reinterpretation of the Gartenstadt. 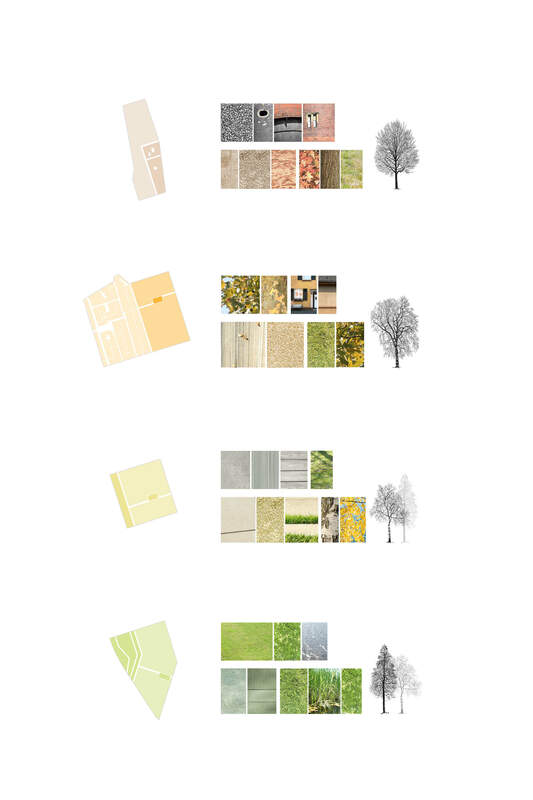 The planned building typologies range from town houses, row and double houses to single-family houses. 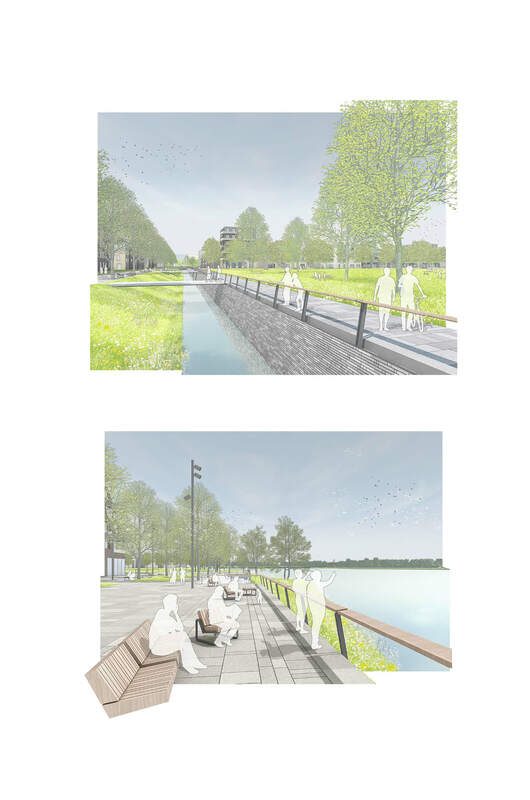 Taking these requirements into account, the open space design undertakes a number of urban design tasks. 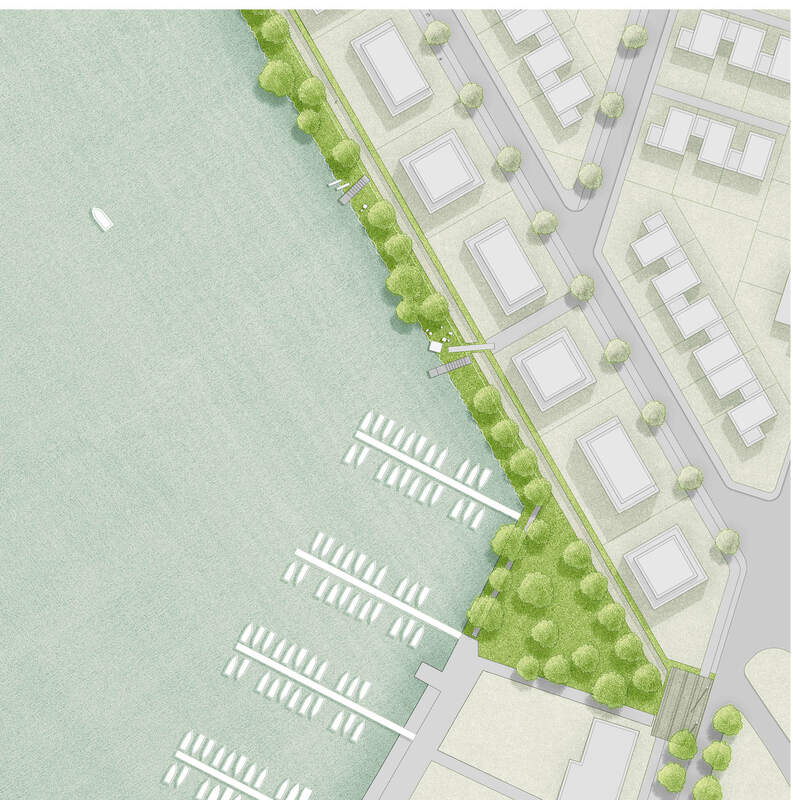 Hence, a superordinate open space framework, ensuring the connection and orientation within the district, is being proposed. 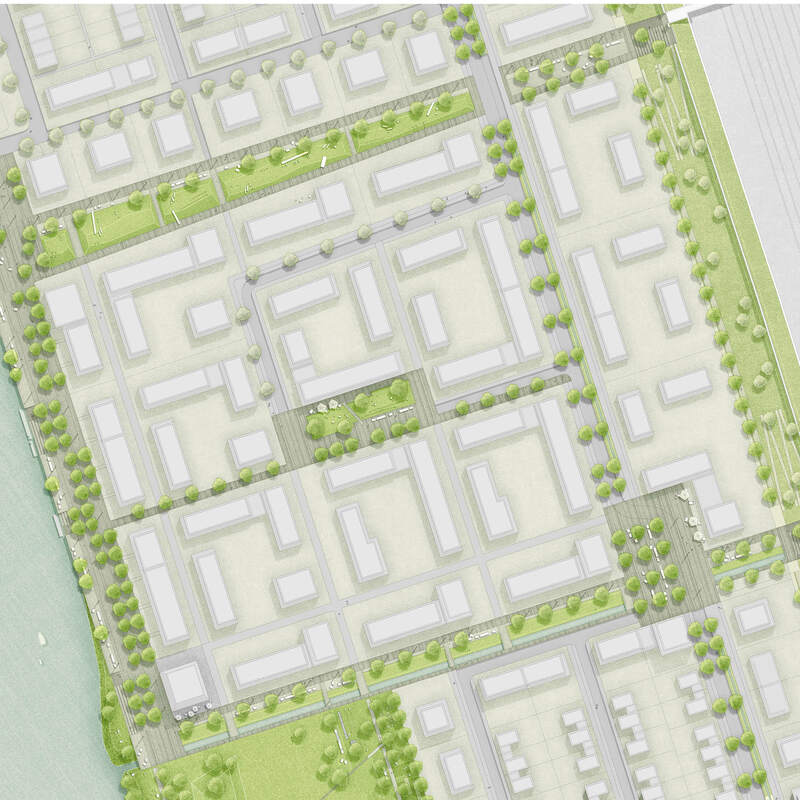 The individual characteristics of the concept though emphasize the particular qualities of the four different quarters of the Garden City. 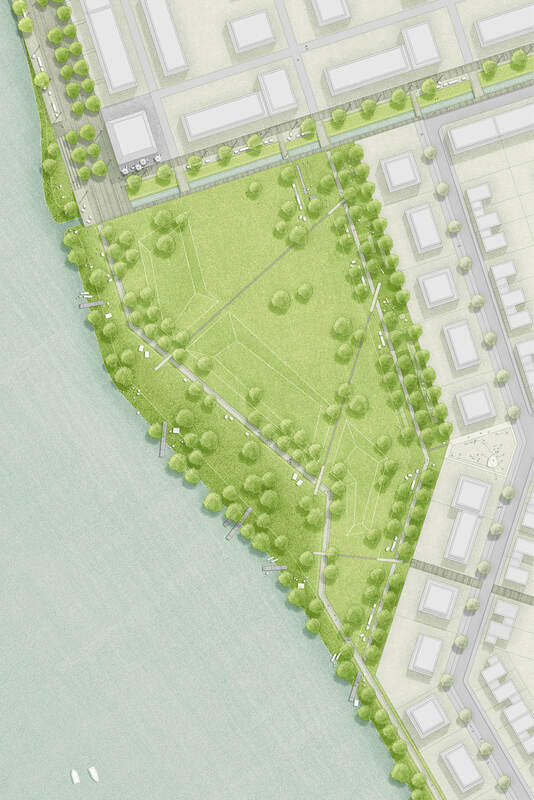 Th open space design distinguishes between superior and quarter-related settlement. 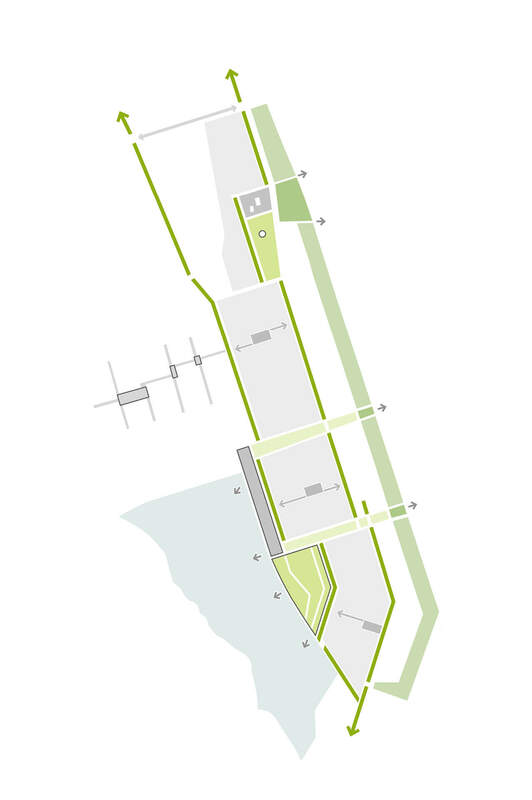 The superordinate open space framework integrates the districts into a spatial context and supports orientation within the neighbourhood. Therefore main and secondary paths as well as crossings receive their particular character. In north-south direction, the main access is combined into two elongated main axes. 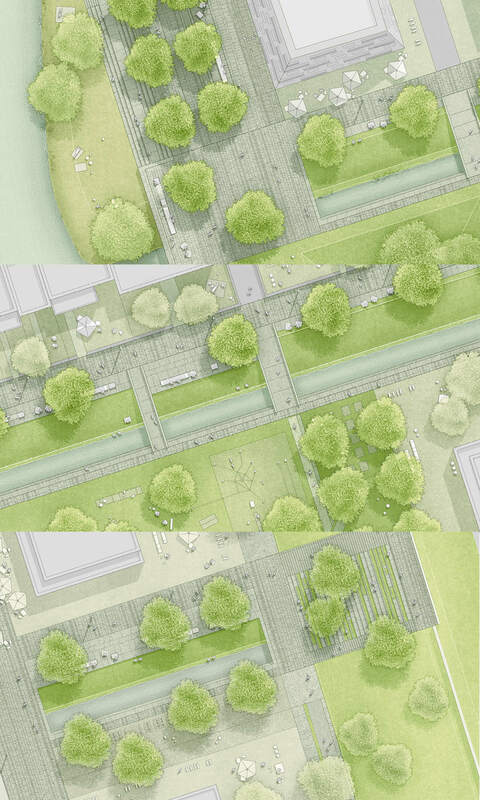 The axes are composed of individual sections and are framed on both sides by tree rows. The offsett between the individual sections indicate the respective neighbourhood transitions. At the same time, they pass to the crossroads in east-west direction. 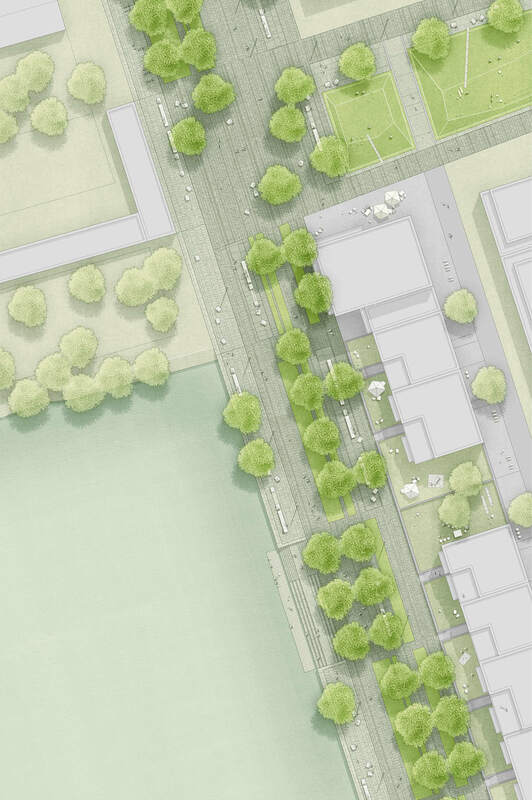 In contrast to the main axes, crossings and subordinate pathways are only accompanied by a single row of trees on one side. A total of three crossings are inserted in east-west direction between the quarters. They each mark the transition between two quarters. In order to support orientation in the district, the settlement of the copses emphasizes the clearest possible sight. Tying in with the functional requirements, each crossing receives its own thematic assignment. 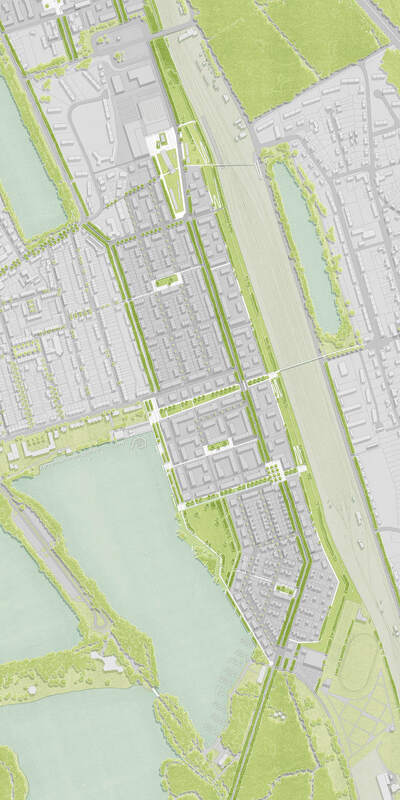 The landscape construction accompanies the eastern flank of the district as a green backbone. Taking up the adjoining crossings, the rampart is composed of different sections. 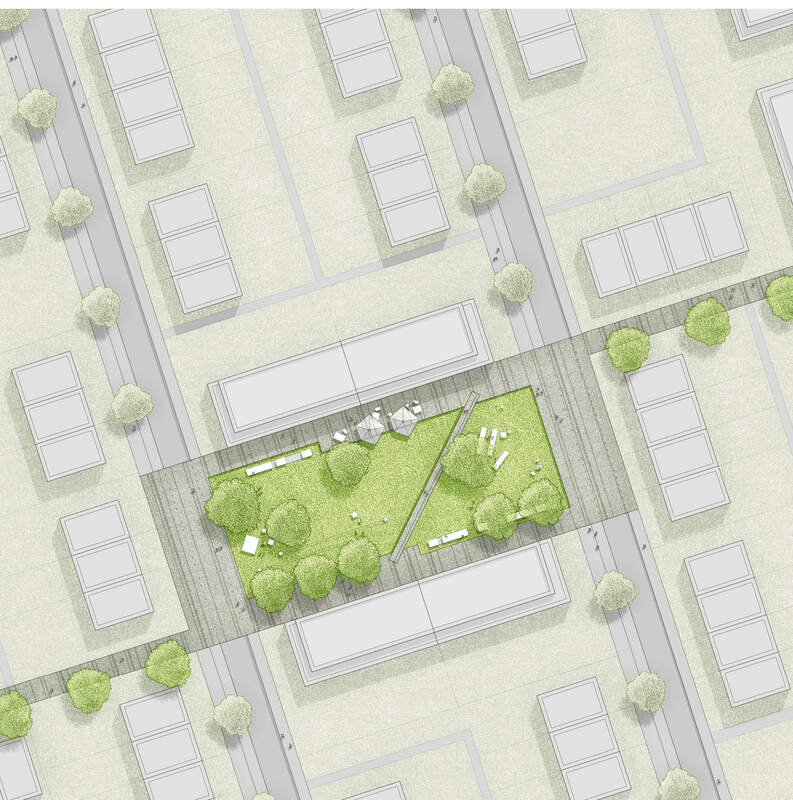 The interfaces between the crossroads and the rampart are each emphasized by connections to the neighbouring districts and natural spaces, or by 'landscape windows' and viewpoints. A uniform material usage, a detailed formation and furnishing throughout the entire district are suggested. A furniture family is proposed, which offers different seating and lounging opportunities and therefore addresses different user groups. The placing of the elements refers to the respective context. The elements can be grouped into different social situations.